Preheat a heavy bottomed pot over medium heat and using a thermometer heat the canola oil to 350 degrees. In a bowl, add the flour, baking powder, nutmeg, cinnamon, sugar and salt. Add in the the egg and buttermilk and whisk until just combined. Using the biscuit cutters, cut out rings of apples in varying sizes and dip them into the batter. 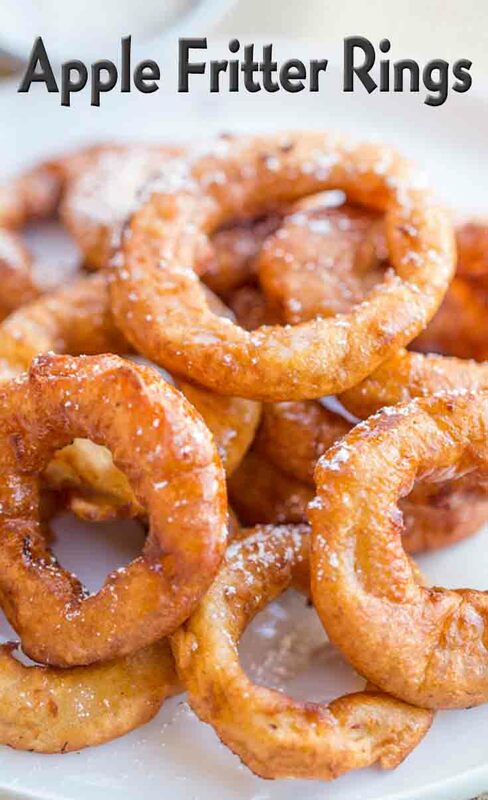 Carefully lift the rings out the batter and let them drip off any excess batter. Slowly place them into the oil and let them cook on both sides until browned. The fritters will be soft and chewy thanks to the pancake batter and moisture in the apples. Serve immediately with a dusting of powdered sugar and cinnamon if desired.